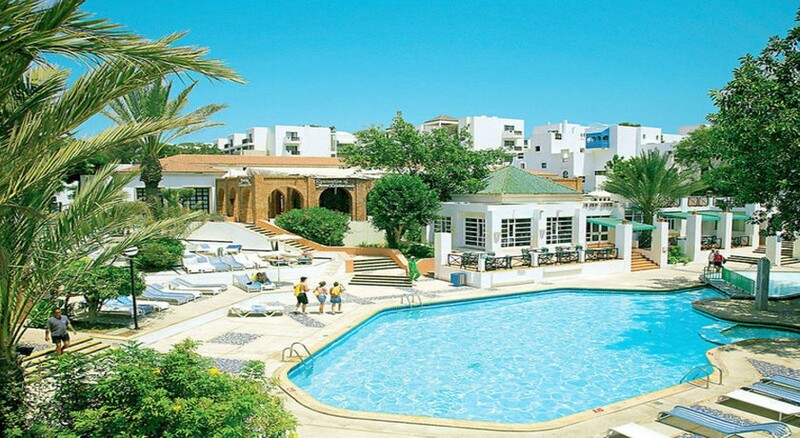 The Caribbean Village Agador is an all-inclusive family friendly hotel located on a beautiful beach in Agadir, just a few minutes from the beach. Featuring an outdoor swimming pool, terrace, a Moroccan restaurant and tennis court, the hotel invites guests to enjoy a relaxing stay with modern, comfortable amenities in the sunny resort of Agadir. This gorgeous hotel features 343 well-appointed guestrooms with gorgeous views of the sea. All rooms come with a satellite TV, telephone, safe and wardrobe for guests to rest and relax after a busy day. In close proximity to the beach, the hotel offers guests a host of water-sports and outdoor activities. The hotel is located opposite a beautiful beach in Agadir. The Amazighe Heritage Museum is just 1.6km. The property is half an hour’s drive from Agadir–Al Massira Airport at 22.5km. There are 343 well-appointed guestrooms in the Caribbean Village Hotel are categorised as single, double, triple and family rooms. 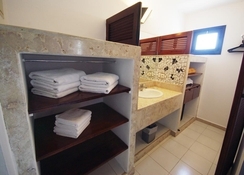 All the rooms have shared toilets and bathrooms and come with a balcony offering magnificent views of the sea and surroundings. Amenities in the rooms include cable TV, tea & coffee makers, safe, wardrobe, dining table, towels and heated blankets. The Caribbean Village Hotel provides shared kitchens to enable guests to cook their meals. There is a main restaurant serving both buffet and a la carte dishes for all major meals. Guests can relax with a cocktail in hand at the bars located in the garden or on the terrace. There is an onsite coffee house and a snack bar as well. The Caribbean Village Hotel has a swimming pool and kids’ pool and terrace besides access to a private beach. There is a fully equipped gym for those who wish to stay active. There is a lovely spa with steam room offering massages and therapies. Tiny tots can have fun at the kid’s club or playground. The hotel has facilities for aerobics, darts, table tennis, games room and billiards. The hotel offers lessons for diving, windsurfing and sailing. There are a few shops onsite as well. There is lively evening entertainment and a nightclub too. Super hotel... good choice of restaurants and the food is amazing! Lots of pools to choose so loungers always available. Friendly team. Room service every other day.